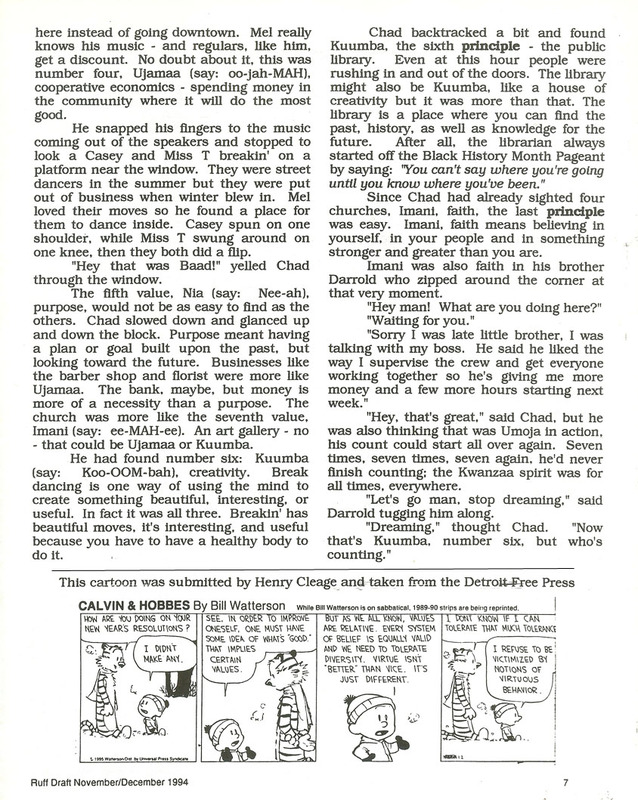 In 1994 we reprinted the following story from Ebony Jr. Unfortunately, I did not keep the magazine and don’t know the date. Click on the pages to enlarge for easier reading. I enjoyed this post. It’s fun to look at old stories and cartoons. 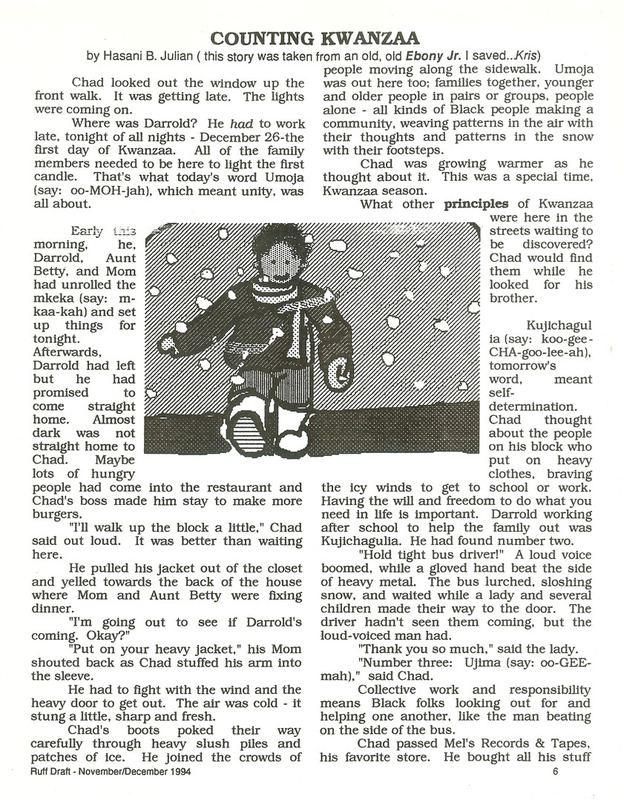 And, in the process of reading the story, I learned a few things about Kwanzaa. My uncle Henry was famous in our family for his views on values and status so that cartoon that he sent was perfect. Reading back, I made me remember him. I’m late, but I wish you the same for the new year, Ayisha.